Why Home Loan Should Not Be Repaid Before Time? 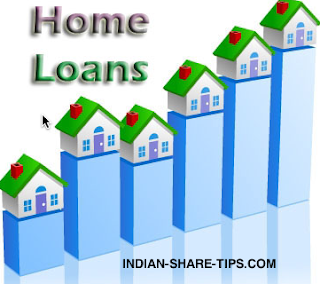 We all feel that loan is a liability and consider the home loan also in the same category. None is to be blamed for this aspect as we have been born and brought up in the environment to save for the rainy day and should not have a loan. Well; we would like to call on all income tax payees to take a home loan as this loan not only offers tax benefits but also helps build an asset that has the potential to appreciate in value – property. The tax benefit is not only available for interest payments but also for principal repayments. Besides, if an individual is a first time home buyer, he gets an additional tax benefit of Rs 1 lakh on the interest paid on the home loan. In other words, the home loan should be left untouched. However only place when the home loan may be tinkered is when your rate of interest is high and a competitor is offering you loan at a lower rate and for this you need to perform actual Mathematics that how much you gain by making a switch. Thus in all circumstances let the home loan run and ensure that you pay the EMIs as and when they become due. Well, do not feel guilty that you are saving on income tax by taking a home loan as a single home loan provides an impetus to 165 industries. So you are not being unpatriotic by taking a home loan. You are all the more benefitted when you go for second home loan as you are able to save on tax all the more if you are in the highest tax bracket.